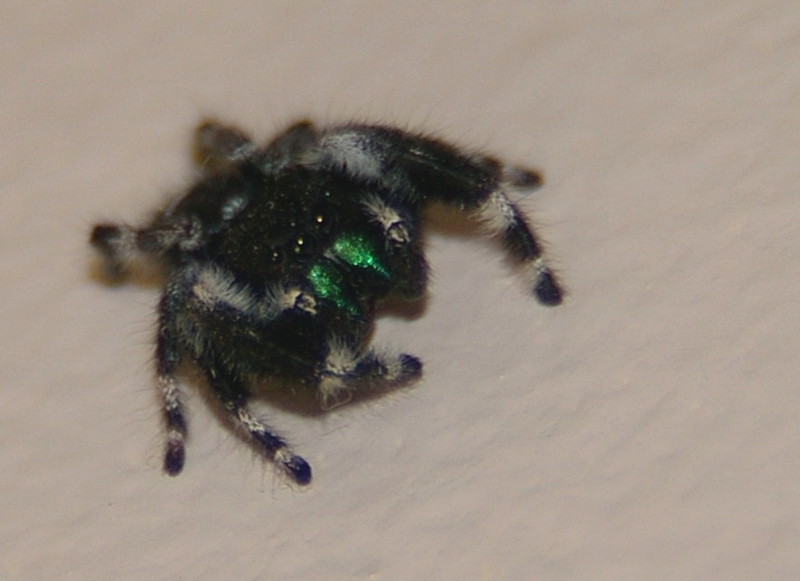 Salticids have four large eyes at the front, which gives them superb vision for mating displays, and for running down and catching prey (the other four eyes are small and mostly for light-sensing). They eat all sorts of insects, including crop pests. As you might expect by its behavior to me, they are not the least bit shy or afraid around people, and inside homes can be found around windows and other sunny places. 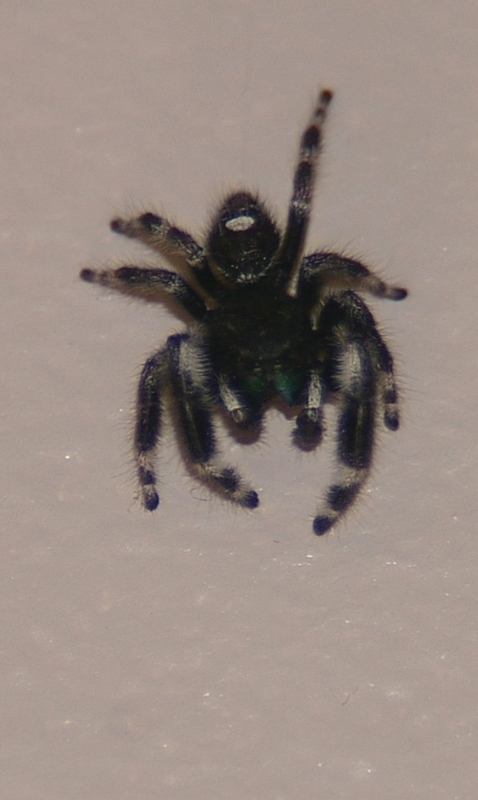 I have spent a lot of time watching, and in return, being watched by jumping spiders. If you want to catch one for a pet, they would be rather interesting to watch, as they are not overly sedentary. My absolutely fave little spineless beastie! Not only attractive, but amusing. Embarrassed I never noticed the lovely chelicerae… Thanks, CotS, for linking me to this. I TOLD you that thing was crawling around our house. And you didn’t believe me.